NOTE: Some users may experience issues when downloading the game. These are known issues and are currently being worked on, but won’t affect your download size. Please don’t pause or restart your download as it will only extend the length of the download. Go to Settings, select System, and then select Storage. The used disk space for each drive on your device will be displayed. Check to make sure you have at least 60 GB of available space on your hard drive. If you have more than one drive or partition, make a note of the one with the most available space. Then under the Save locations section, make sure that New apps will save to: is set to that drive or partition. Important: If you have already started downloading the game, you should cancel and restart the installation to allow the game to be saved to the new location. You need to have the latest graphics and sound drivers installed on your computer for an optimal experience when playing Gears of War: Ultimate Edition for Windows 10. 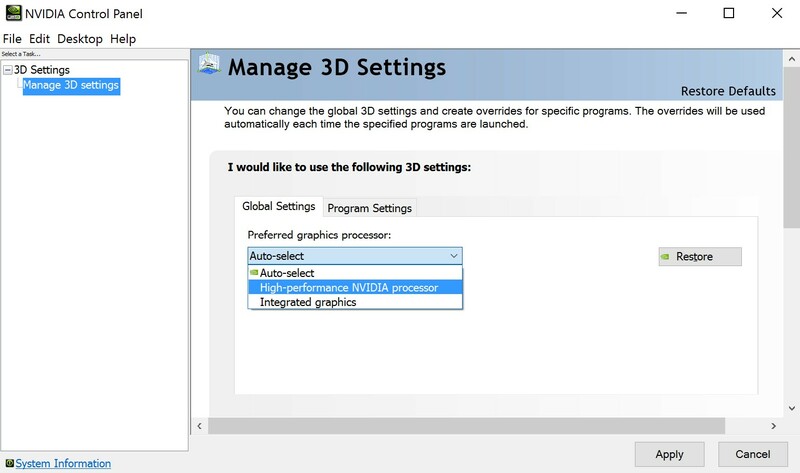 You can also update your display drivers by opening the support software provided by the manufacturer (if any installed). After purchasing the game from the Windows Store, it may appear as though the download is not progressing and the progress bar may be slow to move. However, the game is downloading at a typical rate and will be completed shortly. AMD is an important partner bringing the promise of DirectX 12 to life for gamers everywhere. We are working closely with them to address a few issues encountered in Gears of War on some AMD Radeon hardware and expect they will be addressed quickly in an upcoming update. G-Sync™ is not supported by Gears of War: Ultimate Edition for Windows 10. Running the Game with G-Sync™ enabled will cause significant performance issues. If you are using a G-Sync™ enabled monitor, you should disable it from the NVidia Control Panel. Alternatively, you can set Lock Framerate to OFF in the Video settings. Ultimate Edition for Windows 10 has been remastered to support up to 4K resolution fidelity on PC. As such, this means our 'High' and 'Highest' texture options in the Video options menu include 4K quality textures. As always, we encourage you to test a combination of settings to achieve the performance benchmarks you want for Ultimate Edition. Gears of War: Ultimate Edition for Windows 10 is only available for Windows 10 (64-Bits) and requires a DirectX 12 compatible graphics card. Which version of Windows 10 do I need? You need to be running Windows 10 with the November update (version 1511 or higher) to play Gears of War: Ultimate Edition for Windows 10. Look for System type to see if you're running the 64-bit version of Windows. Go to Start, search for Settings, select Update & security, and then select Windows Update. Go to the Windows 10 November update: FAQ page to get the latest update. The download time will vary depending on the speed of your Internet connection. On average, it takes around 5.5 hours to download 55 GB over a steady 25 Mbps connection. Do not cancel the download or shut down your computer while downloading Gears of War for Windows 10. For better results, make sure you are not downloading any other games, apps or updates at the same time. Streaming videos will also slow down your download rate. Notes: Additional Internet fees may be applied by your Internet Service Provider. Windows 10 download progress bar does not accurately display progress despite downloading without issues. When pausing and resuming the download it may appears that the download resets to 0%. This is a known display issue and actual download progress has not been affected. You can install Gears of War: Ultimate Edition for Windows 10 on up to ten different Windows 10 devices using the same Microsoft account. We recommend that you check your PC specifications first to ensure they meet the minimum requirements. What can I use to play Gears of War: Ultimate Edition for Windows 10? You can use a mouse and a keyboard or an Xbox One controller (with a USB cable or a Xbox Wireless Adapter for Windows). Do I need to have an Xbox Live Account to play the game? You’ll need a Microsoft Xbox Live account to play Gears of War: Ultimate Edition for Windows 10. You can use your Xbox 360 or Xbox One account if you have one, or the Microsoft account you used to purchase the game. For more information, visit the Microsoft account FAQ page. Do I need to be online or connected to the Internet to play Gears of War: Ultimate Edition for Windows 10? You can play Gears of War: Ultimate Edition for Windows 10 offline as long as you have reached the Main Menu at least once while connected to the internet. Keep in mind some Xbox Live features, such as Xbox Live Multiplayer Versus, Xbox Live COOP Campaign or the Leaderboards will not be available until you go online. The Xbox One and Windows 10 versions of Gears of War: Ultimate Edition are different versions. Therefore, there’s no link or crossover between the games. Your PC’s available memory is shared between all running Software and Apps. In order to get the best possible experience, close all other programs before running Gears of War: Ultimate Edition for Windows 10. Note: You can find out the state of your PC memory by opening the Task Manager. Please visit AMD support pages for the latest on AMD drivers and software. Please visit NVIDIA support pages for the latest on NVIDIA drivers and software. The game has ‘Lock Framerate’ set to ON by default. This setting locks framerate to 30 FPS in Single Player and 60 FPS in Multiplayer. If ‘Lock Framerate’ is turned OFF, the framerate will be able to go as high as your monitors selected refresh rate (i.e. 60Hz monitor will lock at 60 fps) and hardware allow. If you want to play at a higher refresh rate, you will need to ensure your monitor refresh is correctly set to achieve a refresh faster than 60hz. Gears of War: Ultimate Edition for Windows 10 supports multiple display resolutions. These can be changed at any time via the Video Settings accessible from the games Main Menu. It is important to set the in-game resolution to match your native display resolution or select a lower one. Lower performance and low visual quality will be experienced when using resolution settings greater than your display can support. If you encounter issues with your audio device, try switching to an audio device that's capable of at least 44.1kHz sample rate and reboot the Game. The Xbox App brings your Xbox Live friends, games and achievements across Xbox One and Windows 10. You can share content, view achievements and chat with friends across both platforms. Inside the app also allows you to customize recording settings for the game bar, as well as various other options. For more information, visit The Xbox Experience on Windows 10 page. The Game Bar allows you to quickly start and stop gameplay recording, take screenshots and record the last 30 seconds (by default) of gameplay. These settings can be changed by clicking the cog wheel on the lower-right hand side of the Game Bar. You can change the amount of time recorded by default in Game Bar > Settings. You also have the option to add your own shortcuts. To do that, open the Xbox app and go to Settings > Game DVR > Keyboard shortcuts. The benchmark is designed to showcase heavy combat, which will allow you to see how the game is performing on your computer. Three values are displayed in the lower left hand corner of your screen, Current FPS (Frames per Second), Average FPS and Current Milliseconds (the time it took to draw the previous frame). Depending on the results, you may want to change your video settings (explained below) to achieve better performance throughout the game. SCREEN RESOLUTION – Select the resolution you want to use when playing the game. FULL SCREEN - Select whether you want to play full screen or in a window. LOCK FRAMERATE – Select whether framerate in single player and multiplayer is locked or unlocked. Locking the framerate is recommended for lower-end PCs to experience steadier performance. BRIGHTNESS – Adjust the brightness of the video output. DEFAULT SETTINGS OPTIONS – Set the default settings for the video options. Low, Medium, High or Custom settings are available. ANTI-ALIASING OPTION – Select the level of anti-aliasing. This smooths jagged lines or edges in textures and geometry. Choose between None, FXAA. TEXTURE QUALITY – Select the level of quality for the textures in the game. Scales from Lowest to Highest. You will need to reload your game from the Main Menu to see this change applied. SHADOW QUALITY – Select the level of quality for the shadows in the game. Scales from low to high. AMBIENT OCCLUSION – Select whether ambient occlusion is enabled or disabled. This creates more realistic shadows around objects and adds depth to the environment. MOTION BLUR – Select whether motion blur is enabled or disabled. This setting increases realism, creates a sense of speed and can smooth the gaming experience. VISUAL EFFECTS QUALITY – Select the level of detail for the visual effects in the game. These effects include explosions, fire, smoke and blood. Scales from Low to High. Note: All videos and audio settings are saved locally on your PC and will not be associated with your Xbox Live Account. Are you a new player? Or are you just looking to improve your game? 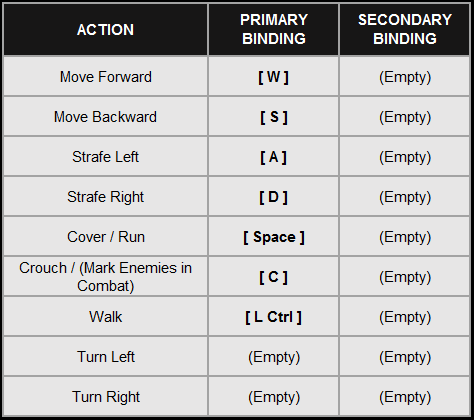 Familiarizing yourself with the control layout will be imperative to surviving in Campaign & Versus. If you aren't comfortable with the default layout, you can also try other controller layouts available in the Controller Options menu in game. This control scheme separates the Cover and Mantle actions from the Evade and Roadie Run actions. The button remains mapped to Cover/Mantle, and becomes Evade/Roadie Run. The Use Item/Revive actions are moved to the button, and the Point of Interest action is moved to the (click down). The alternate control scheme was first added to Gears of War 3 and brought back to Gears of War: Ultimate Edition for Windows 10. With this control scheme, players are less likely to get pulled into cover when trying to run through the map. This control scheme swaps the button specific actions with the actions. With this setup, players can quickly maneuver in and around cover without moving their thumb from the for camera movement. Note: Alternate and Tournament controls do not apply to Keyboard & Mouse. LANCER ASSAULT RIFLE - The workhorse COG weapon. Fully automatic. Intended for midrange combat. The weapon’s Chainsaw Bayonet activates when in close proximity to an enemy. Press and hold button or press and hold [ F ] to chainsaw an enemy. GNASHER SHOTGUN - Short-range weapon that can occasionally take down a Drone in one shot. Most effective at less than 3 meters. Squeeze or click [ Mouse1 ] to shoot. SNUB PISTOL - Standard issue sidearm for all Gears. Regular firing mode is a single shot, but you can fire as fast as you can squeeze on the Xbox controller or click [ Mouse1 ].To enable a moderate zoom, squeeze and then press on the Xbox Controller. 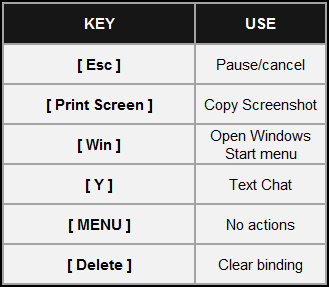 When using keyboard and mouse controls, the default key bindings to use the zoom are [ T ] or click [ Mouse3 ]. GRENADE - Standard COG-issue fragmentation grenade. When is pressed and held, a visible arc shows the grenade’s trajectory. Move to alter this projected arc—and never miss. When using mouse and keyboard controls, use [ Mouse2 ] to aim your grenades. NOTE: Smoke variants are only available in multiplayer. LONGSHOT SNIPER RIFLE - Best used at extreme ranges, this weapon has high-caliber ammunition that removes most man-sized threats with a single well-placed head shot. To activate the integrated scope, hold as if aiming normally, and then click to zoom. To do this with the mouse and keyboard, aim with [ Mouse2 ] and use the [ T ] or click [ Mouse3 ] (using default key bindings). HAMMER OF DAWN - The Hammer of Dawn is a satellite-based weapon capable of leveling small buildings. It must be orbitally aligned overhead to fire. Your HQ contact lets you know when it is available. The Hammer requires the target to be acquired by a ground-based observer with a targeting laser. To do this, a Gear must have line of sight on the target and press and hold or [ Mouse1 ] until the target is locked. HAMMERBURST - The Hammerburst Assault Rifle is the Locust's standard issue assault rifle carrying a six-round burst fire mode with a large magazine. The Hammerburst features a short barrel and compact size and was built for medium to long-range fire fights. Aim with or click [ Mouse2 ], or shoot from the hip. Fire with or click [ Mouse1 ]. BOLTOK PISTOL - The Boltok Pistol is the standard-issue sidearm of the Locust, especially the Drones. It is a high-caliber, double-action revolver with a 6-round capacity. Landing each shot counts. Like the Snub Pistol, squeeze or click [ Mouse1 ]. To zoom, aim and then press down on the or press the [ T ] or click [ Mouse3 ]. BOOMSHOT - The Boomshot is a single-shot projectile launcher used primarily by Locust units called Boomers. If you’re lucky enough to get your hands on one of these launchers, prepare to decimate your opponents. Fire with or click [ Mouse1 ]. TORQUE BOW - The Torque Bow is a deadly weapon used exclusively by elite Locust foot soldiers called Theron Guards. This weapon fires an explosive tipped arrow that’s lethal if charged long enough to penetrate an opponent. With this weapon you can arc arrows or simply go for one-shot kills. Aim with on the controller and then hold the down. Using keyboard and mouse controls, aim with [ Mouse2 ] and then hold down [ Mouse1 ]. You will see a blue arc path and a reticle. Once the arc straightens and the reticle turns orange, releasing the fire button will shoot an arrow that will penetrate your target. Life is simple. When you see a target bleeding—it’s taking damage. Same goes for you. Health regenerates when you’re not taking damage—so use cover. When nearing death, you’ll see a Crimson Omen filling with blood at the center of the screen. When your Crimson Omen is full in single player campaign—you’re dead. If you are playing a Versus Match or Campaign in co-op, you can instead become "DBNO" (Down But Not Out). Your teammates or co-op partner can then revive you. Some multiplayer playlists use "Execution rules." These prevent you from being killed in a DBNO state unless you are Executed. An Execution can be a headshot, close-range explosion, melee attack, or a curb stomp. Some multiplayer playlists allow you to revive yourself (This can also be set as a preference when hosting Private multiplayer games.). When self-revival is an option, going DBNO will prompt an button callout or [ Space ] to tap repeatedly in order to revive yourself. In Campaign, Marcus or Dom gain access to the “Tac/Com”, which is used to issue orders to their squad. Don’t worry, your Gears have graduated bootcamp; they know when to defend themselves, take cover, and return fire all by themselves. Open Tac/Com - press and hold the on Xbox controller or press and hold [ Shift ] on the keyboard to see your squad’s status and mission objectives. Squad Regroup - Press on Xbox controller or press the "Quick Look" action (Default key is [ Q ] ) on the keyboard to have your squad regroup and form-up on your location. Squad Attack - Press on Xbox controller or press the "Cover/Run" action (Default key is [ Space ] ) on the keyboard to put your squad into an aggressive stance for a short time. They are more likely to close in on enemies and instigate combat. Squad Cease Fire - Press on Xbox controller or press the "Melee Attack" action (Default key is [ F ] ) on the keyboard to put your squad into a defensive stance for a short time. They are more lkely stay in cover and only expose their positions when necessary. Note: Only the squad leader can issue orders. In multiplayer mode, the Tac/Com is used to show the status and location of your teammates. The Tac/Com will also show locations of the weapon pick-ups in the map. SHOOTING FROM THE HIP - Keep your attention on the center of the screen, once you have a target centered, squeeze or [ Mouse1 ] to fire. This method of targeting is fast, but relatively inaccurate. AIMING - To take aim, press and hold or click [ Mouse2 ]. A reticle appears and will glow red as you focus on a potential target. MARKING - While aiming holding down or click [ Mouse2 ], you can click or press [ C ] on your keyboard to mark an opponent. This will put an indicator above the opponent's head to notify squad-mates of the opponent's location. ZOOMING - Equip either a Longshot Sniper Rifle, Boltok, or Snub Pistol and aim down the sights. Click down on or press the [ T ] or [ Scroll Up ] to zoom to extreme magnification. BLINDFIRE - To shoot without breaking cover, center a target onscreen as if you were shooting from the hip, and press or [ Mouse1 ] to fire. This move sticks your gun out of cover and fires. Note: If you take aim while in cover, you remain mostly in cover but your head may be exposed. MELEE - Press or the [ F ] to melee. If an enemy is within range -- attempt to bash their brains in. WARNING: If an enemy is close, they can melee you as well. However, Gears have one great melee advantage: the Lancer Assault Rifle has an integrated, carbide-tipped, variable-torque Chainsaw Bayonet. If you’re holding this rifle while initiating a melee attack(hold the melee button/key instead of a single press), the Chainsaw Bayonet activates and you can dish out a high-RPM death. Few Locust can withstand this brutal assault. But be warned; if you are attacked while revving your chainsaw, you can get stunned. This will interrupt your advance and leave you vulnerable to subsequent attacks while you recover. In multiplayer games, press or the [ E ] near an opponent who has been grievously wounded (but not yet dead) to deliver a savage curb stomp. GRENADE TAGGING - If you close the distance between yourself and an enemy while holding a grenade, you can use the melee attack to "tag" your grenade. This attaches the grenade to the enemy, leaving them incapable of escaping a devastating explosion. WARNING: If you remain in the explosion radius after tagging an enemy, you will also get caught in the blast. To reload your weapon (assuming you have ammunition), press or press the [ R ]. This will activate a slider on the top right of your screen. Click reload again when the moving slider enters the reload bar. Success is a matter of timing and practice; each weapon has a different sweet spot for Active Reloads. SUCCESS: If you succeed, you reload faster. PERFECT: If you achieve a perfect reload, you reload much faster and gain a small boost to damage (setting can be disabled in Versus multiplayer). FAILURE: If you fail, you spend more time reloading than if you didn’t try. EVADE - Tap or the [ SPACE ] while moving. If there’s no cover, you can dodge and roll to avoid getting shot. You can also evade or roll out of cover. ROADIE RUN - A crouching run that makes you harder to target. To roadie run, press and hold or the [ SPACE ] while out of cover. You can’t fire while roadie running. GETTING INTO COVER - Use cover in combat or DIE. Move toward anything that looks like cover (debris, doorway, etc. ), and press or the [ SPACE ]. EXITING COVER - To break cover, move away from the cover point or press or the [ SPACE ]. MANTLE - To jump over low cover, move the left stick in direction of the jump as you press or the [ SPACE ]. COVERSLIP - To quickly slip around the corner of cover without having to back up first, move the left stick in the direction you want to slip, and then press or the [ SPACE ]. SWAT TURN - While in cover, minimize exposure when reaching a nearby cover point by using a SWAT turn. Move the left stick toward adjacent cover, and then press or the [ SPACE ]. To play the campaign mode of Gears of War: Ultimate Edition for Windows 10 with a friend, you can choose to host or join an Xbox Live Public game session, a Private Live game session, or a Local Network game. When you choose to Join a Public Xbox Live session, you are given the option to choose a game with a Preferred Act and Preferred Difficulty to join. Your Preferred Act will take precedence to your choice in Difficulty. WARNING: If either co-op player dies on a split-path, the Objective will be failed and the host must reload the last checkpoint. If the second player leaves the session, the Objective will fail as well and the host must restart the split-path. Private Live games will ensure only your Xbox Live Friends can join your campaign session. Local Network games will list your game as a Local session where others on the same network can view and join you. When you join a game, you play as Dominic Santiago. When playing in co-op mode, it’s important to remember that Marcus and Dom need to cover one another in combat. In some cases, Marcus and Dom can take different paths to get alternate angles of fire. By working together, you can expose weaknesses in enemies who might otherwise have impenetrable cover. To play the multiplayer mode of Gears of War: Ultimate Edition for Windows 10, select Versus from the Main Menu and then select Xbox Live, or Local Network. Local Network lets you compete with others (eight players maximum) on a local area network. Xbox Live lets you fight alongside and against other players (eight players maximum) with Xbox Live online multiplayer functionality. When playing on Xbox Live, you can play Social, Competitive or Private matches on dedicated servers. You can look at the stats from your Versus matches here. When players take enough damage, they fall, “bleed out” and eventually die (if the Self-revive setting is disabled). Enemy players can finish them with a few more shots or a melee attack. During this bleed-out time, the downed player’s squad mates can revive them. If you melee a knocked-down opponent (without the chainsaw-equipped Lancer Assault Rifle), you perform a curb stomp maneuver as a coup de grace. Depending on game type, that maneuver can qualify you for bonus points. Players on the same team are able to chat with each other on Xbox Live, when players are dead, they are able to speak with other dead players. Set the number of rounds in a match. Adjust the “bleed out” duration. This is the number of seconds until a player who is knocked down dies. Other players on your team may be able to revive you during this time. Set the max duration (in minutes) of each round for applicable game modes. Toggle friendly fire -- that is, whether fire from your squad mates can damage you. Toggle if a Perfect Reload provides damage boost or not. Set if power weapons respawn after use or after pick up. Turn self-revive ON (like Gears of War 3) or OFF (like the original game). Set the time between the spawn waves. Select the order and type of maps that cycle through the match. 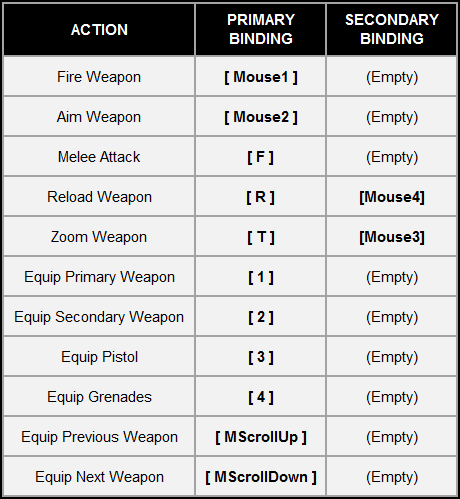 Select if any of the power weapons are swapped. Text chat is available in the Versus Match Lobby, as well as in game. To bring up the chat window press the [ Y ], type your message and press [ Enter ] to send. You can press [ Tab ] to toggle between the available Team channel and Global channel. Messages from COG players are in blue, and Locust player messages are in red. Chat from Spectators in a match will appear in white in lobbies, but Spectators cannot text chat during gameplay. Note: There is no controller button for text chat. Voice Over IP allows you to chat with other players while playing Gears of War: Ultimate Edition for Windows 10. VOIP is turned ON by default in the Audio Settings. To use this feature, simply plug in a microphone and start talking to your Co-Op partner. This option is turned ON by default, and can be turned OFF at any time in the Audio menu, in Settings. Highlight a Gamertag and press the button or [ Mouse1 ] to open the menu and select “Mute in chat”. Pause the game and select “Players” from the menu, highlight a Gamertag and press the button or [ Mouse 1 ] to open the menu, select “Mute in chat”. Muting users will also affect Text Chat messages. WARZONE: A COG fire team is pitted against a Locust fire team. Last man standing wins the round. The team with players still alive wins the round. No respawns. ASSASSINATION: Each team has a leader, Colonel Hoffman (COG) and General RAAM (Locust). The goal is to kill the leader of the opposing team. Players who kill the leader of the opposing team become leader of their team for the next round. EXECUTION: This game type is similar to Warzone, but instead of bleeding out when knocked down, you revive. The only way to kill an opposing team member is to deliver a coup de grace, so you must get close enough to melee. ANNEX: To win, a team must score a set amount of points before their opponents. To earn points, a team has to capture and hold the hill. To capture a hill, a player has to stand inside the ring, the more players, the faster the hill will be captured. Once captured, the points will begin counting down and players are able to leave the hill. Once all points have been depleted from the hill, it will move to the next location. Unlike King of the Hill, while the hill is not controlled by a team, its total points will not count down. Kills do not count towards your team's score in this game type. Players have unlimited respawns and there are no execution rules. KING OF THE HILL: To win, a team must score a set amount of points before their opponents. To earn points, a team has to capture and hold the hill. To capture a hill, a player has to stand in the ring, the more players, the faster the hill will be captured. Once captured the points will begin counting down and players are able to leave the hill. Once all points have been depleted from the hill, it will move to the next location. Unlike Annex, the hill's points will always count down even if a team doesn't control it, meaning the hill location will change far more often. Kills do not count towards your team's score in this game type. Players have unlimited respawns and there are no execution rules. GNASHER EXECUTION: Play a match with Gnashers only and no respawns. 2v2 GNASHER EXECUTION: Play a 2v2 match in a small area (“Boxes”). Only shotguns, no respawns, first to 10. BLITZ: This game type is similar to King of the Hill, but with instant capping of rings and requiring the player to stay in the ring to keep control. This message means that you have not updated to the latest game version of Gears of War: Ultimate Edition. You will see the following message: “Downloading Latest Multiplayer Data” and will be up-to-date with the latest data. Switching Xbox Live Accounts on the Xbox App can result in a temporary desynchronization of save data. If your save data is missing or if the Game is not able to synchronize your data, please sign-in on the Xbox App and restart your computer to recover the account data. Gear of War: Ultimate Edition services login failed, access to online multiplayer is not available. Close the Game and reboot your PC.